Along with the X-E3, Fujifilm also announced two new lenses at this year’s Fujikina 2017 event. 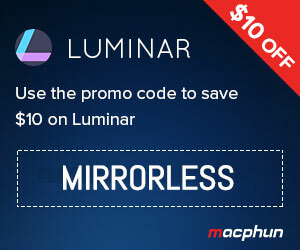 The first is a macro lens for the APS-C range: the XF 80mm f/2.8 R LM OIS WR. 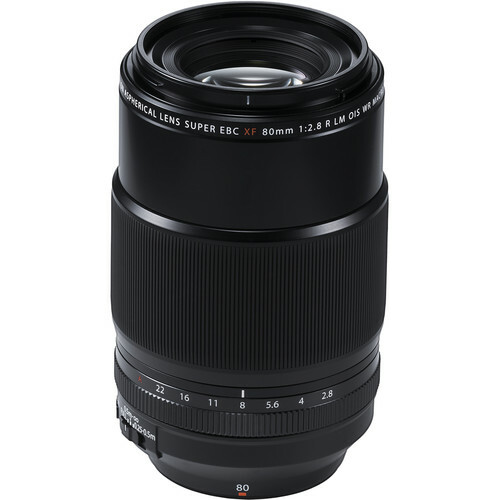 With an equivalent focal length of 122mm in 35mm terms and a 1.0x magnification factor, it promises to become the ideal companion for macro work. It is the first prime lens in the series to feature optical image stabilisation and provides fast and silent Auto Focus system by adopting linear motors. The lens is resistant to dust and moisture and can operate in temperatures as low as -10°C, making it suitable for use in nearly all outdoor shooting conditions. To further repel water and dust, a fluorine coating has been applied to the front element. The new macro lens is expected to hit the market in November 2017 for $1,199. 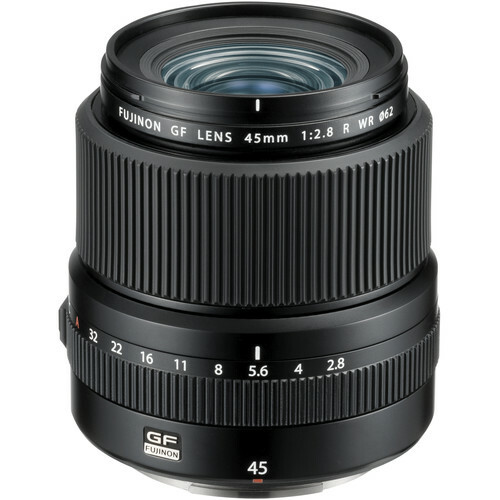 The second is the 45mm f/2.8 R WR for Fujifilm’s medium format GF series. Ideal for street and documentary photography, it has an equivalent focal length of 36mm in full-frame format and is relatively compact and light (490g) considering that it is a medium format lens. Like all other Fujiiflm GF lenses, it is dust, moisture and freeze resistant down to -10°C and features Nano GI coating to reduce ghosting and flare. The new prime is scheduled for release in November 2017 for $1,699. Fujifilm has also update its roadmap to confirm that new lenses are being developed. For the X series, we will get an 8-16mm f/2.8 (12-24mm equivalent) with weather sealing and a 200mm f/2 WR (305mm equivalent) with optical stabilisation and compatibility with the TC 1.4x and 2.0x teleconverters. For the GFX, a 250mm f4 (200mm equivalent) with weather sealing and optical stabilisation is in the works as well as a 1.4x teleconverter.